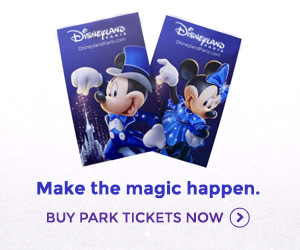 Soundbites about “challenging tourism climates” and “investing in growth strategies” aren’t all you’ll find the Euro Disney S.C.A. Annual Review. Published by the Disneyland Paris operating group each year, the splashy document is also filled with a host of fascinating and intriguing facts and figures about the resort, its parks, its Cast Members and its visitors. Last, but not least, the geographical split of theme park visits, where France has broken 51% leaving all other feeder nations languishing. It’s fascinating to look back ten years to the results from the 2003 Annual Review and see how dramatically the breakdown has shifted. Where once 22% of visitors were from the United Kingdom, now that percentage is a tiny 14%. Worse for Germany; its percentage share has halved from 6% to 3% in 2013. Italy and Spain meanwhile used to make up 9% together and have now increased to 11%, mainly thanks to a boom in visitors from Spain begun a few years ago, but which now appears to have ebbed away, in line with the country’s economy, to 8%. Attendance figures in 2003 were 12.4 million, so 22% would give an estimated 2,728,000 British guests for the year. The same calculation for 14% of the 14.9 million guests in 2013 gives 2,086,000 guests crossing the channel. Far from a scientific, watertight calculation, obviously, but you could see it suggesting that roughly 654,720 fewer visitors from the UK went to Disneyland Paris in 2013 compared to ten years ago, a 24% drop. Overall, with 49% of visitors now coming from outside France in 2013 versus 61% in 2003, you could estimate the resort’s entire non-domestic park attendance has actually fallen by over a quarter of a million guests in the past ten years, from 7.6 million in 2003 to 7.3 million in 2013. In the same period, meanwhile, you could estimate attendance from within France has grown by a huge 2.8 million guests, from 4.8 million to a strong 7.6 million visitors. Clearly it is time Disneyland Paris took a few of its œufs out of its panier and worked on growing visitor numbers from other countries too, if only back to the levels they were ten years ago. That’s not something even Rémy can do alone, or is it? Interesting stuff, especially the comparison to 10 years ago! Tom Fitzgerald presents first Ratatouille ride sneak peek – concepts, models, construction!